This article will show you where to go and how to change the FTP password for your Quadra Service. 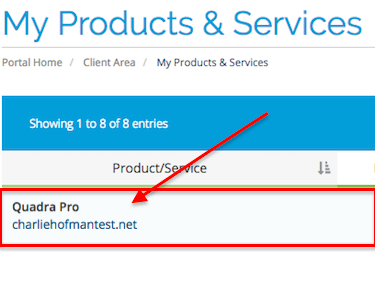 Click on to the Quadra Hosting service in the billing area, then click Change Password via the Actions panel. Under the My Products & Services heading, select the hosting service to view more detailed information about it and make changes to the FTP password.